Real Madrid have failed to replace Cristiano Ronaldo in the previous transfer window, but are now reportedly keen on bringing in a new forward in January, with four names currently linked with the Spanish giants. Tired of reading? Click through the gallery to see which four forwards are linked with Real. Los Blancos have struggled to find the back of the net regularly this season, with their top goalscorer being Karim Benzema with 12 goals in 29 games in all competitions. Gareth Bale is the only other player to net at least 10 goals this season, but none of the club’s stars could fill the gap left by Cristiano Ronaldo, who regularly scored around 50 times per campaign. As a consequence, Real have struggled in LaLiga and dropped to 10 points behind FC Barcelona, as well as out of the UEFA Champions League spots. According to Marca, club president Florentino Perez wants to invest in a new striker in January and bring in a proven goalscorer. Genoa’s in-form striker Krzysztof Piatek, who has netted just one less than Ronaldo in Serie A, is reportedly the main target. However, Real are believed to be only keen on loaning the 23-year-old. 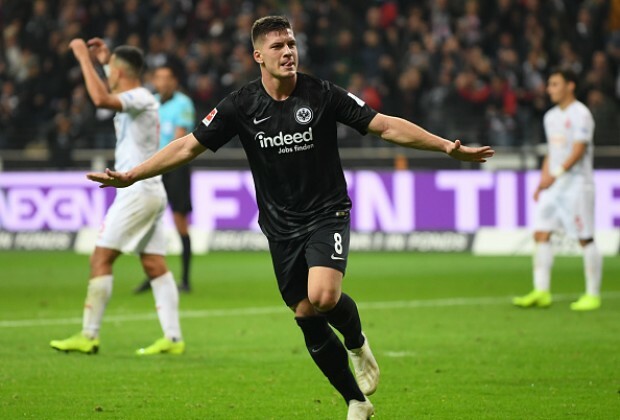 Other options include RB Leipzig’s Timo Werner and Eintracht Frankfurt’s Luka Jovic, while Inter Milan forward Mauro Icardi has also once again been linked with the club. Icardi, though, is understood to be the most expensive option and likely not available before the end of the season. Which of these strikers would you like to see at Real? Have your say in the comments section below.